How wonderful it is that nobody need to wait a single moment before starting to improve the world. Truth is, you're not okay, but you will be. You'll hold on, but you'll let go. It'll be difficult, but you'll do it. You're feeling weak, but be strong. 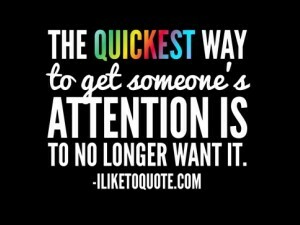 The quickest way to get someone's attention is to no longer want it.